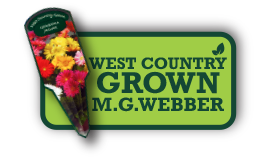 Our Bespoke Branded Labels | MG Webber West Country Grown Ltd.
We started using our bespoke branded labels in 2004/2005 and have been using them ever since, developing new labels on a regular basis to ensure all our new products have our label. 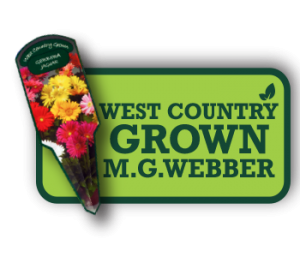 The main concept behind ‘West Country Grown’ is to promote locally grown plants with minimum plant miles travelled making them nursery fresh, fully acclimatized to local market and supporting local industry, basically giving them a strong providence. The colour of our label was chosen to tie into plants natural colour, an earthy, home grown feel. 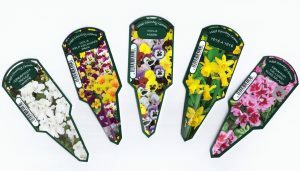 We use this bespoke branded label so it becomes easily recognisable in the market place, consumers see it and trust it, they look for it when buying plants. We wouldn’t be able to produce such high quality labels without the brilliant service from Hortipak. Over the years Hortipak has helped develop our labels to the highest standard possible, offering the best bespoke labels, to the specification we need in the thousands.